Ah, more beautiful shoes for my ongoing toddler shoe obsession! And these ones come in such a range of sizes that I can indulge until my children hit preschool age. We love these shoes so much that it’s not the first time we’ve featured the brand at Babyology. They’re from the gorgeous designs of Livie & Luca, an American company started by mums wanting something in their kids’ shoes that they couldn’t find easily. 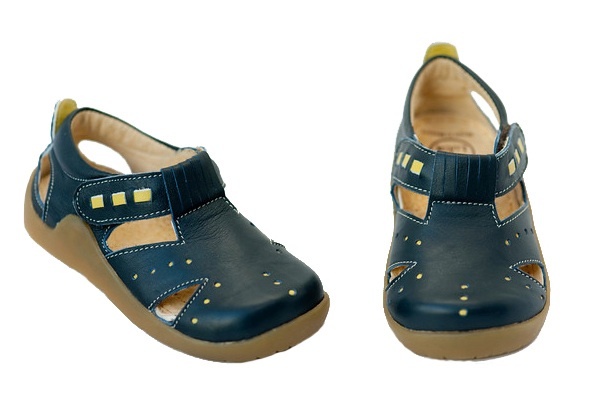 The result is a range of shoes for children from pre-walker to preschool, all handmade from the softest leather and with velcro closures to make them easy for little hands to manage. They’re super flexible, making them a good choice for both beginning walkers or kids who run around a lot! The new spring line is definitely worth a look – I had trouble limiting myself to four photos from all the beautiful shoes available. The Australian stockist is Madison Lane and shoes cost $64.95 per pair with $10 flat rate shipping for orders under $150. You can also buy direct from the manufacturer, Livie & Luca, for US$45.50 but be prepared to pay more for international shipping.